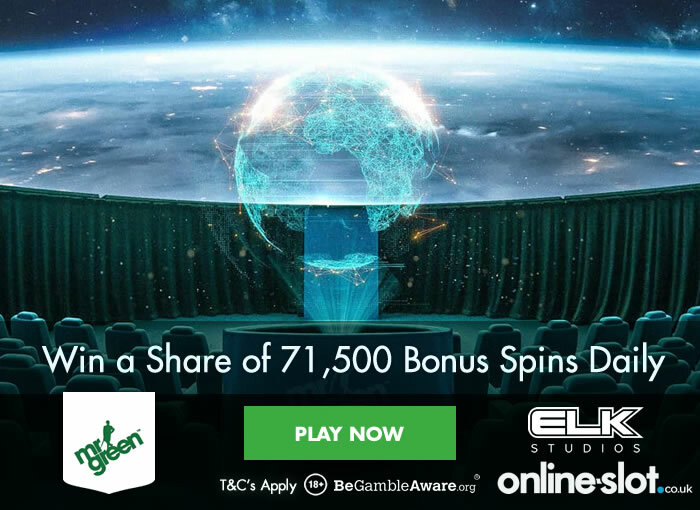 Mr Green Casino are giving away 71,5000 bonus spins every day on selected ELK Studios slots – there’s 600 bonus spins up for grabs each day. The Half a Million Bonus Spins promotion runs until Thursday the 13th of September (2018) with 71,500 bonus spins to be won each – the top 1,500 players each day will win a share of the bonus spins with the top prize being a cool 600 bonus spins. Today’s eligible game is Platooners which comes with 5 reels and 178 ways to win. Available to play on desktop, mobile and tablet devices from as little as 20p per spin, you will see characters from the Bloopers slot appear, at random, in the base game to fire heavy machine guns, throw grenades and launch rockets to reward you 5 of a kind winning combinations, random wild symbols and same symbols for enhanced wins. The main attraction is the Platooners vs Snakes of Fortune feature where you get free spins and attempt to take down the various snakes. The more you defeat, the more free spins you’ll get. Medium to high variance, you can win up to 2,500 times your stake on each free spin. Not played at Mr Green Casino? Sign up to get 20 no deposit bonus spins on NetEnt’s Starburst – this is an exclusive offer for Online-Slot.co.uk readers. On your 1st deposit, you’ll get a 100% match bonus up to £100 plus 200 more free spins (across various NetEnt games).